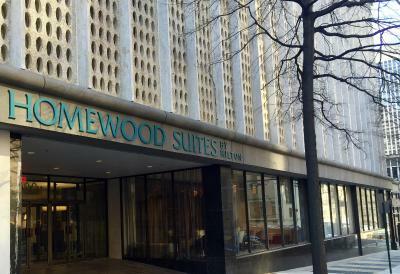 Lock in a great price for Homewood Suites by Hilton Richmond-Downtown – rated 8.7 by recent guests! The front desk staff were FANTASTIC!!! They were friendly and really went above and beyond to ensure that I had a great stay from start to finish. The complimentary shuttle service was also a huge help! The location was great for getting on and off campus for my son's graduation from VCU. The room wss a very good size, and the full size refrigerator would have been great for a longer stay. Front desk staff was very friendly and helpful, and the shuttle service was a welcome amenity. The breakfast was very good but they used only pork for meat options. The location was great! Awesome breakfast buffet and Monday thru Thursday they have A happy hour with free wine, beer, and a light meal. The location was great and they have an open terrace bar on 19th floor that overlooks the city. Room was really nice. Upstairs/ rooftop/ city skyline bar was really cool. Suite was great. The stuff was super friendly and all requests were handled promptly. I was especially impressed with people at the front desk - they made everybody feel welcome. Provided a nice breakfast in the morning and a place to purchase a drink on the rooftop was enjoyable. 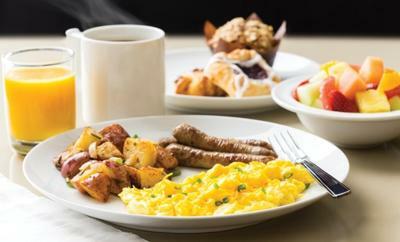 Big and roomy, and a nice variety of hot and cold items at breakfast. Very comfortable and clean suite. Spacious, well laid out room that makes a great home base for traveling in and around Richmond. Tasty breakfast and great cocktail hour. Shuttle service are your request. Excellent staff! 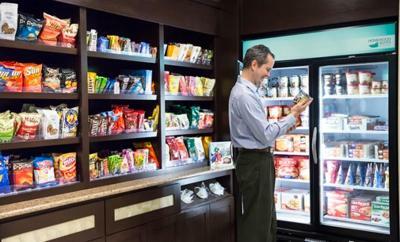 Homewood Suites by Hilton Richmond-Downtown This rating is a reflection of how the property compares to the industry standard when it comes to price, facilities and services available. It's based on a self-evaluation by the property. Use this rating to help choose your stay! Homewood Suites by Hilton Richmond-Downtown offers accommodations in Richmond, just 5 minutes' walk from the Virginia State Capitol. The Supreme Court of Virginia, the Richmond Coliseum, and the Greater Richmond Convention Center are all within 10 minutes' walk. All rooms are fitted with a flat-screen TV. All rooms include a private bathroom equipped with a bath or shower. A TV is provided. Greater Richmond Convention Center is 1,950 feet from Homewood Suites by Hilton Richmond-Downtown, while Museum of Confederacy is 2,300 feet from the property. The nearest airport is Richmond International Airport, 6.8 mi from the property. This property also has one of the top-rated locations in Richmond! Guests are happier about it compared to other properties in the area. 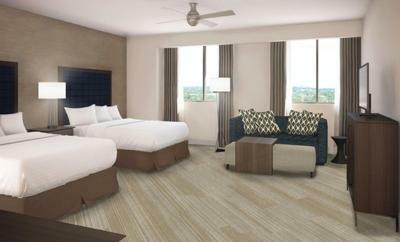 When would you like to stay at Homewood Suites by Hilton Richmond-Downtown? This studio has a tea/coffee maker, sofa and microwave. Public parking is available on site (reservation is not needed) and costs USD 17 per day. This suite features a sofa, microwave and flat-screen TV. This suite has a tea/coffee maker, microwave and flat-screen TV. This suite features a microwave, tea/coffee maker and sofa. This studio has a microwave, tea/coffee maker and sofa. This studio features a sofa, tea/coffee maker and flat-screen TV. 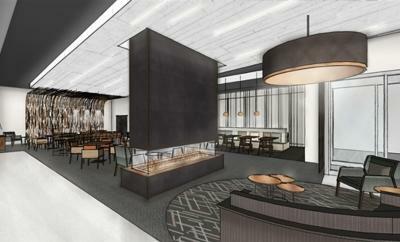 House Rules Homewood Suites by Hilton Richmond-Downtown takes special requests – add in the next step! Homewood Suites by Hilton Richmond-Downtown accepts these cards and reserves the right to temporarily hold an amount prior to arrival. Room cleanliness could be improved. While the wi-fi was good, it was a little challenging to connect to it at the beginning of my stay. Overall good experience, just expect a little more with Hilton properties. The breakfast was pretty basic, but sufficient for a short stay. Unbelievable room size. Loved the kitchen. The pool was closed due to weather. The rooftop lounge tried to charge us a cover fee even though we were hotel guest. Large room with a kitchen, and sofa. I didn’t like that I had to pay $15 a day to park my rental car and the elevator button on the 9th floor was broken so we had to take stairs to 8th floor to use the elevator. The slowwwww elevator was ridiculous. I also booked a 2 Queen bed hotel a month in advance and got a King instead. Apparently because there was only one name on the reservation. That’s ridiculous! I slipped in the bathtub and had a very hard time reaching the crab bar. It was installed vertically which is the wrong way to do it as one only has one point to put once’s hand on. Crab bars should always be installed slanted so they can be gripped at different heights and different location when help is needed to get out of the tub or in case of an accident in the tub. Offer a better selection of food st the rooftop bar. The staff was very nonchalant and rude. The key card programmer was broken. So, we were escorted to our room by management, and told our key cards would be delivered momentarily. Two hours later, and still no keys. When we just couldn’t wait any longer we went down, and sure enough the reader was functioning, and the desk attendant had forgotten. He shrugged, offered no apologies, and only remarked that he was the only person there and could not leave. A simple phone call would have sufficed, and we could’ve not wasted two hours waiting for a key card. Also, the room we had was very dusty. No good for someone with allergies. The dust was so thick, on the tv and dresser. Also, the shower had some black spots that looked like mold was beginning to form.